Motorcycle insurance costs are an important consideration for any bike buyer. That's why MCN is highlighting some of the best cheap-to-insure motorcycles out there. This time it's the Piaggio Typhoon 50. Amazingly the Piaggio Typhoon 50 has been going strong for around 16 years. Originally a cutting edge sports scooter, the lightweight Typhoon is still a lot of fun but is now at the bottom end of the sports 50 price scale, making it good value for money. Especially since it's only group 2 to insure. 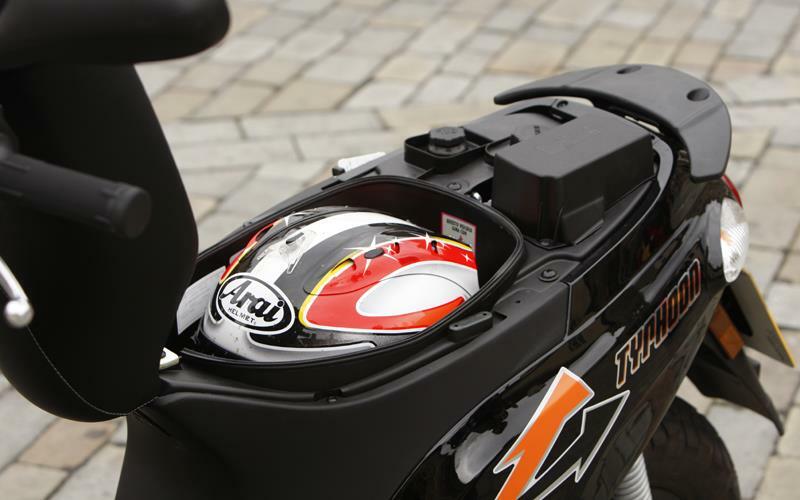 The Typhoon is very light, which makes the air-cooled twist-and-go feel perkier than it is. In full power form (only legal for those over 17 years old) the Typhoon gets up to 30mph respectably swiftly, slowing as it winds round to its 50mph top speed. Surprisingly for a small wheel scooter the Typhoon doesn’t feel too nervous – the fat balloon-like tyres with a chunky tread pattern calm the handling compared to sportier scooters. 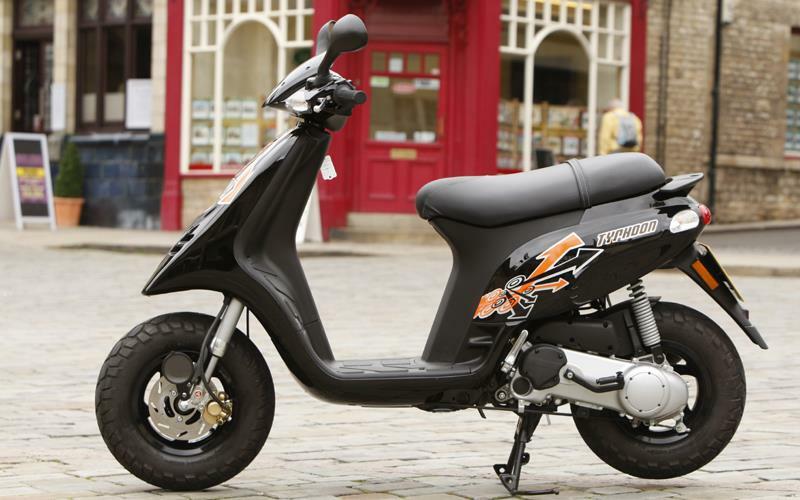 There’s enough grip to enjoy throwing the Piaggio around city streets and the front brake is effective. Thinking of buying a Piaggio Typhoon 50? Get motorcycle insurance quotes from lots of providers in one place with MCN Compare. 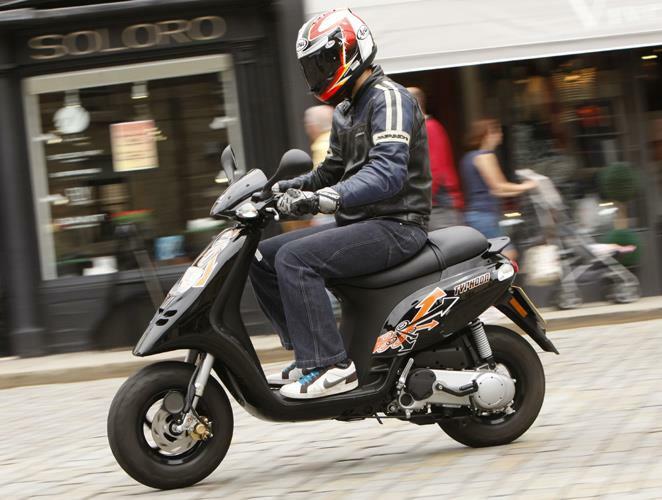 Piaggio Typhoon 50 review now live!